Three years after his successful Jazz&Milk EP, label founder Dusty returns with a release that once more proves his passion for an eclectic and diverse sound. Every single track delivers an organic vibe, from Funk, Jazz to Latin and Exotic influences. While the opener "Keep It Raw" comes with a heavy and vintage jazz rhythm and a grooving brass section, "Tap Tap" makes use of similar aspects, but fuses them with progressive beats and percussion that turns the track into a modern jazz production. Check out "Loco Para La Pista", a Latin monster that causes pure dance floor madness and, not to forget, "Voodoo" with its exotic flavor and melodic bass clarinet lines on top. 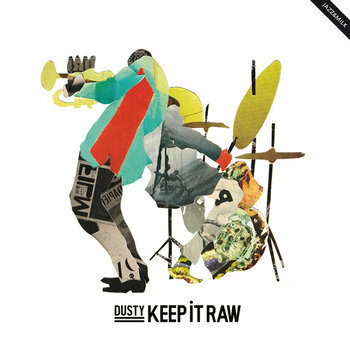 This release presents a foretaste of Dusty´s new and same titled CD album "Keep It Raw" with brilliant collage artwork and poster inlay by graphic designer Tim Schmitt.